MTX Audio introduces a clever mix of leading edge technology including MTX Audio's Asymmetrical Linear Drive System. 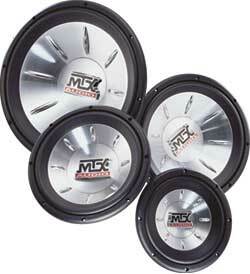 These subwoofers were designed to play deep, low bass in a variety of enclosures: sealed, vented or bandpass. 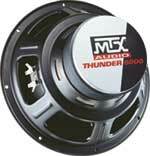 Thunder6000 subs are available in 4 ohm or 8 ohm impedances, with the 10" sub also available in 12 ohm model. Why the a 12 ohm, 10" model? Three 10" subs fit really well in the space between the wheel wells. Wire three 12 ohm subs in parallel, and you present your amp with a standard 4 ohm load - and deliver an extreme amount of bass. Oversized magnet structure, 2", 4-layer voice coil and Apical voice coil formers keep these subwoofers ready and able to blow you away. The black, NBR surround and gasket combination forms a tight seal when rear mounted, and gives a clean, cosmetically finished look when front mounted. NBR rubber has a high resistance to ozone and UV aging so your subwoofers will continue to deliver for years to come. The new injection-molded, silver-machined style cone with 8 stiffening ribs increase cone stiffness for improved mechanical power handling (and they look pretty cool, too). The machine-turned front and back plate with a clear zinc coating makes a high-end quality statement, with the zinc playing the role of corrosion fighter. Bright nickel connectors complete the connection in a most attractive way. The folded window basket is h2er, more durable, and unique in appearance. Download the 2001 Generation Thunder 6000 Technical Data. T684 8" Subwoofer 4 Ohm 31Hz-150Hz 150/300 85.1dB 1 1/2" 28oz. 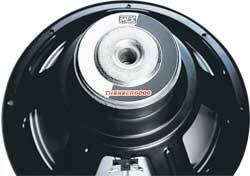 3 11/16"
T688 8" Subwoofer 8 Ohm 32Hz-150Hz 150/300 86.1dB 1 1/2" 28oz. 3 11/16"
T6104 10" Subwoofer 4 Ohm 31Hz-150Hz 250/500 87.1dB 2" 33oz. 5 1/8"
T6108 10" Subwoofer 8 Ohm 33Hz-150Hz 250/500 87.0dB 2" 33oz. 5 1/8"
T61012 10" Subwoofer 12 Ohm 34Hz-150Hz 250/500 87.0dB 2" 33oz. 5 1/8"
T6124 12" Subwoofer 4 Ohm 29Hz-150Hz 250/500 87.1dB 2" 33oz. 5 1/10"
T6128 12" Subwoofer 8 Ohm 31Hz-150Hz 250/500 87.1dB 2" 33oz. 5 7/10"
T6154 15" Subwoofer 4 Ohm 27Hz-150Hz 300/750 90.0dB 2" 50oz. 6 5/8"
T6158 15" Subwoofer 8 Ohm 28Hz-150Hz 300/750 90.1dB 2" 50oz. 6 5/8"
T684A 8" Subwoofer 4 Ohms 31 Hz-150 Hz 300 150/300 84.2 dB 1 1/2" 30 oz. 3.75"
T6844A 8" Subwoofer Dual 4 Ohms 31 Hz-150 Hz 300 150/300 84.6 dB 1 1/2" 30 oz. 3.75"
T6104A 10" Subwoofer 4 Ohms 31 Hz-150 Hz 500 250/500 85.2 dB 2" 37 oz. 5.062"
T61044A 10" Subwoofer Dual 4 Ohms 33 Hz-150 Hz 500 250/500 85.2 dB 2" 37 oz. 5.062"
T61012A 10" Subwoofer 12 Ohms 34 Hz-150 Hz 500 250/500 85.3 dB 2" 37 oz. 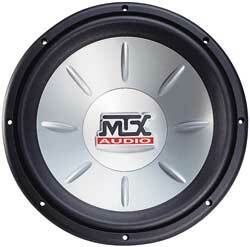 5.062"
T6124A 12" Subwoofer 4 Ohms 29 Hz-150 Hz 500 250/500 87.2 dB 2" 37oz. 5.625"
T61244A 12" Subwoofer Dual 4 Ohms 33 Hz-150 Hz 500 250/500 87.4 dB 2" 37oz. 5.625"
T6154A 15" Subwoofer 4 Ohms 27 Hz-150 Hz 750 300/750 90.3 dB 2" 54oz. 6.625"
T61544A 15" Subwoofer Dual 4 Ohms 30 Hz-150 Hz 750 300/750 90.2 dB 2" 54oz. 6.625"